He is the founder of Hispanic Business Consultants and one of the few bilingual individuals dedicated to teaching individuals to become better employees, supervisors and managers through special, tailor-made programs in Spanish that he offers to a variety of companies on a regular basis, both in theUSAandMexico. He also teaches Hispanic entrepreneurs how to start up and grow a business. With over seventeen years of experience, Eduardo has become a Latino business specialist by training and mentoring supervisors, leads, salespeople and managers. An array of well-known corporations have hired Eduardo for employee training, where he has conducted over 250 classes, workshops and seminars on topics such as self-empowerment, leadership, management, conflict resolution, sexual harassment, sales, customer service and other subjects, both in USA and Mexico. While working as a bilingual business consultant at the Small Business Development CenterinSanta Ana, he assisted 2,000 clients on a one-on-one basis in individual consultations. He helped small business owners to prepare their business plans, resulting in over $2,500,000.00 in SBA loans. Eduardo gives back to the community by volunteering on different Non-profit boards, such as the Cámara de Empresarios Latino Americanos, Santa Ana Public School Foundation, Santa Ana Workforce Investment Board, and a High School entrepreneurial program. He has also presented free seminars to the general public as wells as to high school and college students. 2006 – The Orange County President Council recognized him at BIZCON2006, with the “Business Person of the Year Award”. – The Orange County Hispanic Chamber of Commerce awarded Eduardo as the member of the year at the “Estrella Award Dinner”. – Eduardo was listed as one of the 50 Hispanic men more influential in Orange County. 2002 – Hispanic Training Center, Inc. gave him a special “Award of Excellence” for his outstanding commitment, dedication and inspirational leadership. 1999 – The Hispanic Chamber of Commerce of Orange County nominated him as the recipient of the “Ethics in America Award” from the Passkeys Foundation andChapmanUniversity. 1997 – The Small Business Administration honored Eduardo with the “Minority Small Business Advocate of 1997” Award. LULAC (League of United Latin American Citizens) gave him a special recognition for his “outstanding contribution” to the Hispanic business community inSouthern California. 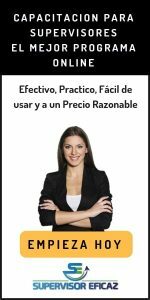 “Líderes de Alto Rendimiento” (Leaders of High Performance), an online program in Spanish. “¿Quién se llevó a mi cliente? (Who stole my client?). A self-published book in Spanish.